There were several movies that I saw in the movie theatre more than once in the 80s because I loved them (Pretty in Pink) because it had cute boys (Top Gun) or because it was funny . . .
Summer School was one of the funny ones. This totally underrated, silly, teenage comedy gem from 1987 stars a foxy Mark Harmon, Kirstie Alley and Courtney Thorne-Smith waaay before she grew up and moved to Melrose Place. 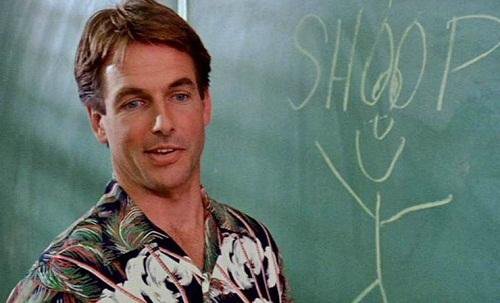 Mark Harmon plays Freddy Shoop, the gym teacher who while getting ready for his own summer vacation to Hawaii is forced to hang around to teach summer school – a remedial English class to a group of “bonehead” misfit students who of course . 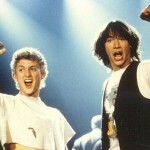 . . like Mr. Shoop . . . don’t want to be there at all. 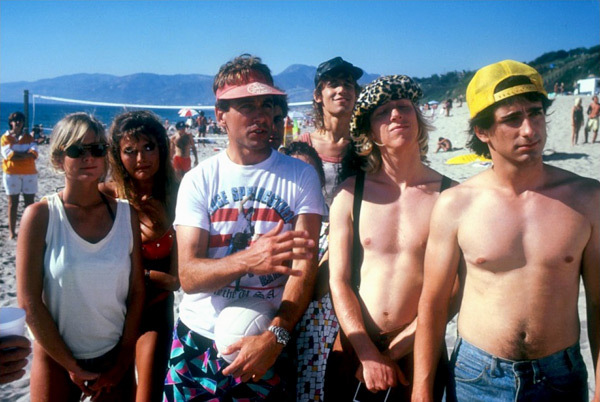 Mr. Shoop isn’t an academic teacher so the movie focuses on his adventures with his class, taking them on various field trips and partying at his beachfront home. The class contains pretty much every 80s movie teenage stereotype you can imagine; the jock, the nerd, the pretty girl, the pregnant girl, the hot foreign exchange student, etc. Then there were some more random stereotypes like, the guy who falls asleep in class, the girl who is a bad driver and my favorites, the two guys who are completely obsessed with horror movies. Kirstie Alley plays Robin Bishop, who teaches history down the hall from Mr. Shoop. At first Robin criticizes and doesn’t think much of Mr. Shoop’s laid back approach to teaching – but he slowly begins to win her over when his teaching style goes from beach trips to hitting the books. Courtney Thorne-Smith plays Pam, who has a crush on her teacher (how could you not?) She’s a surfer girl who is shown constantly staring out the window and looking good in a Body Glove wetsuit. Mr. Shoop must have each of the students pass the big test at the end of the summer or he’ll be fired! 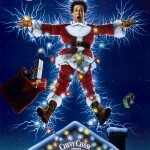 He promises them each something in exchange; he teaches Denise how to drive and she passes her driver’s test, becomes the pregnant girl’s Lamaze partner, allows Chainsaw and Dave to have a screening of Texas Chainsaw Massacre in class, and in true 80s style, he gets the kid who falls asleep all the time a bed in the classroom. 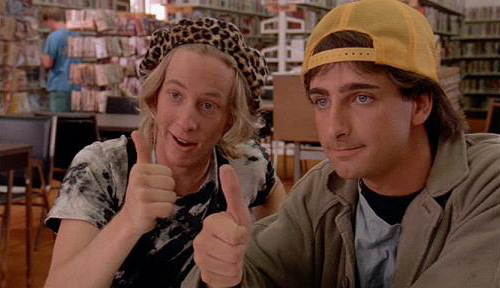 During the big “taking the test” montage scene there’s an awesome 80s song by EG Daly (of Valley Girl fame), “Mind Over Matter” which I still get in my head whenever I have to fill out difficult paperwork of any kind. Seriously. 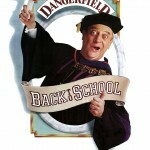 At the end of the movie it’s revealed that the classes test scores were too low, and Mr. Shoop will be fired. Until . . . The parents of the students show up in the classroom and rally for their favorite teacher in front of the Vice Principal, commending him and saying what a great influence he was on their children. Our hero Mr. Shoop is saved! 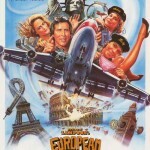 The movie ends with a kiss between Shoop and Robin where else? The beach. It’s summer! All is well in the world. 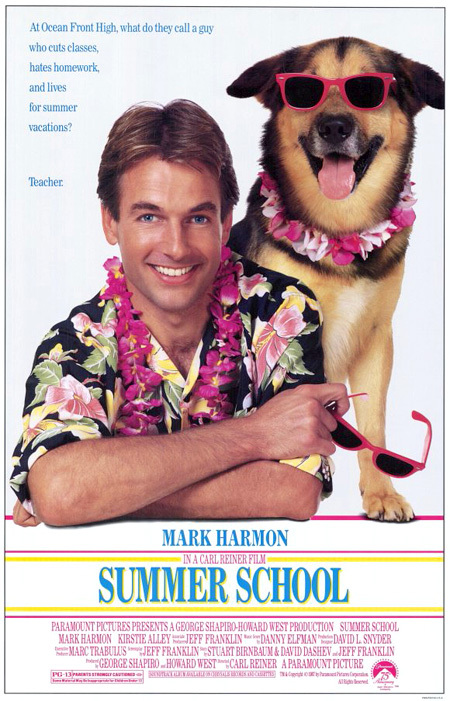 Again, there are no Oscar worthy performances but if you’re looking for a great 80s summer movie that’s surprisingly sweet, sign up for Summer School.